In some cases, sellers need to sell their homes before they close on a new residence for themselves. However, this can leave them with no place to live for a period of time, particularly if there is a delay in the closing for their new home. In order to address this problem, sometimes sellers ask buyers if they can stay in an apartment, condominium, or house for a specified period of time after closing, known as post-closing possession. A seller who wants to stay usually needs to pay a proportional share of the buyer's mortgage, utilities, insurance, and other costs. Contracts can be written to allow for post-closing possession or rent-back. 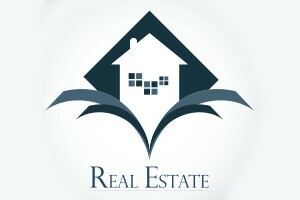 It is important for both parties, however, to be represented by an experienced real estate attorney in drafting such an agreement to avoid disputes and possible litigation. The Boston post-closing possession lawyers at Pulgini & Norton can carefully protect your interests. Rent-back agreements allow sellers to continue living in a home after closing. Basically, the seller rents back the home from the buyer. This can be advantageous for sellers buying another home who are unable to close until after the closing for the current home. However, there are a number of potentially huge pitfalls in renting a home back to a seller. One critical issue is how terms are defined in the post-closing or rent-back agreement. For example, it is crucial not to describe the agreement as a lease agreement. Instead, the agreement should use the word “license” to describe the seller's right to occupy the property after the closing. If the agreement is a lease, the landlord (the buyer) will need to use eviction proceedings against the seller in order to get him or her to leave if he or she refuses. A license agreement may allow the buyer to avoid this expensive process. Similarly, it is important to specify the penalty for a seller who refuses to leave. The penalty should be sufficiently large in order to deter the seller from overstaying his or her license. As a buyer, you should notify your lender to make sure a brief rent-back is acceptable. In some cases, the loan documents specify a property will be owner-occupied, so you should make sure a rent-back does not threaten your loan. In condominiums and apartments, it may also be necessary to notify a board and examine any agreements signed with the board to make sure that rent-back and the terms of the agreement are appropriate. For example, in some cases, a condominium has a right of first refusal on a sublet, so it is important not to couch the agreement in terms that trigger the right of first refusal. The agreement should also specify what happens if damages occur during the seller's continued occupancy. This section should also specify who has the responsibility for securing insurance in case of problems. The last thing you want to encounter is litigation related to a new home. It is crucial to retain an experienced closings attorney if you are negotiating post-closing possession or a rent-back agreement. The Boston post-closing possession attorneys at Pulgini & Norton advise and represent people in Andover, Somerville, Braintree, and other cities in Massachusetts. Call us at 781-843-2200 or contact us via our online form for a free consultation.